Harry Potter turns 20 today. (Technically, because of how the publishing world works, Harry Potter and the Sorcerer’s Stone turns 20 next year, on September 1, when the US version came out.) Pottermania is so well-entrenched that all you need to see is a red and gold scarf to instantly know a lot about the person wearing it. Hogwarts is the preeminent fictional school. One of the most famous criticisms of Harry Potter is that it is derivative and clichéd, that Rowling’s story is predictable and her prose riddled with obvious metaphor. That is true in basically the exact same way it is true of Star Wars: the plot follows an arc that centuries of storytelling has proven effective. So what separates them is their execution—the inventiveness in the world-building and character development, for example. 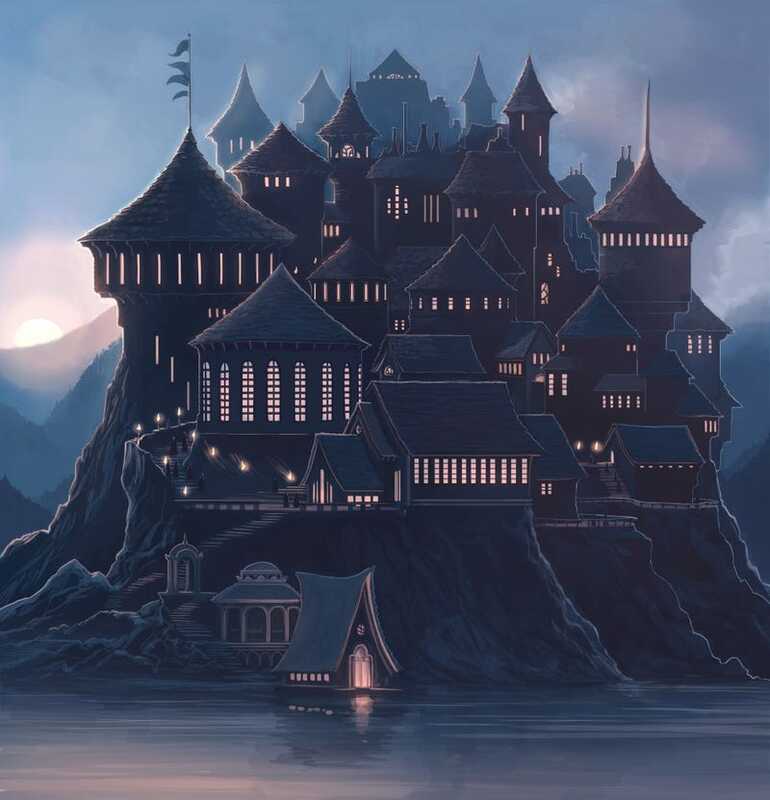 In Harry Potter’s case, Rowling built her castle upon the rock that is the magic school. I know the story is driven by the Chosen One archetype, but that’s not the trope that actually allowed Harry Potter to take over the world. That distinction belongs to Hogwarts. While plenty of fans cosplay as specific characters, it’s equally fine to show up in a black cloak and school uniform. Until Rowling wrote her own quiz to sort people into Hogwarts houses, a small cottage industry existed of online tests which promised to tell you where you belonged. Hogwarts anchored the wizarding world Rowling created in a way that drew people in. The magical academy isn’t a new idea. I bet every single one of us could rattle off a long list of them from the science fiction and fantasy we read as a kid. For me, there’s Ursula K. LeGuin’s A Wizard of Earthsea, Jill Murphy’s Worst Witch, the Unseen University in Terry Pratchett’s Discworld, basically every Tamora Pierce book, and the disaster-prone Jedi Academy of the Star Wars EU. But Hogwarts dwarfs them all in popularity, to the point that any use of a fantasy school is compared with Harry Potter, even if it predates it. Why does Hogwarts cast so long a shadow? Generally speaking, a school setting works for any story where the protagonist is a kid because that’s what kids do — a kid not in school is a kid working too young, or a kid being taken advantage of, or a kid neglected. A kid not in school is a sign things have broken down. Plus, the target audience for these books are kids — kids who are almost certainly in school. It’s what they know. The magic school of Hogwarts was paired with the trope of the hidden, secret world that exists next to ours. A lot of magic schools in popular culture exist in alternate worlds where they’re accepted as part of the fabric of the universe. Magic in Pierce’s Tortall is codified and well-known and understood. Similarly, the Jedi in Star Wars are an ancient order that were famous. Hogwarts — existing not on Yavin IV or Coruscant but in Scotland — is easier to imagine attending. The kids are taught out of books by teachers, with a regular schedule, homework, and uniforms. That’s pretty much how we’d all imagine school if asked. Almost all of the earlier magic schools are much weirder in their methodology and looser in their structure. 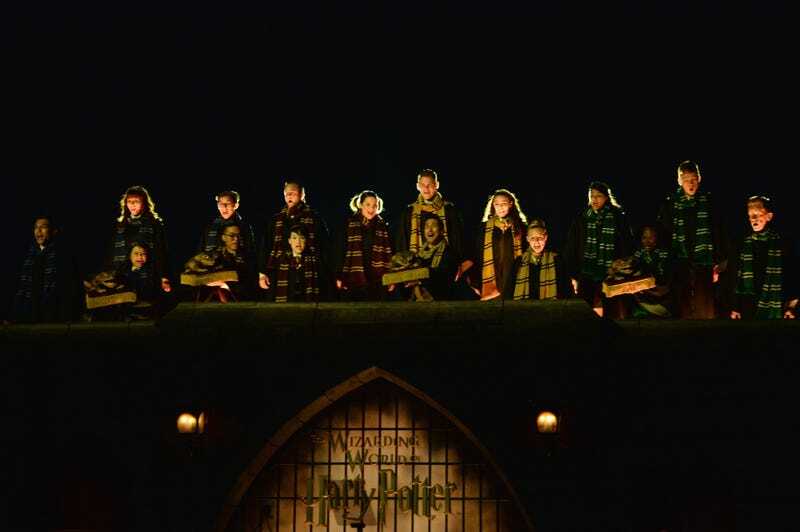 Plus, Hogwarts plays into the assumption most of have that all Brits are taught at boarding schools like this. The familiarity makes it even easier to imagine yourself there. Rowling’s attention to detail reinforces this. We know the titles of Harry’s textbooks and their authors. (It wouldn’t be a year of Hogwarts without the next Standard Book of Spells by Miranda Goshawk.) We know the names of his classes and we know the personalities of his teachers; the fact that not all the teachers are good adds another level of verisimilitude. We know the school song. We know the names of the founders and we know the history of the school. We know about the giant squid in the lake, the inhabitants of the Forbidden Forest, and the ghosts that wander its halls. And we know the houses. Boy, do we know the houses. The houses were a brilliant addition to Hogwarts. It’s based in a real thing, like so much of Hogwarts, but most school houses are groups made up of basically random kids. Rowling removed the random part from the equation. Her four houses are based on personalities, and often codified by families. And suddenly everyone has a vested interest in the houses, based on what they think is important. A house that people are in because of random sorting or who your parents are doesn’t invite you to wonder where you would belong. Traits like ambition, courage, kindness, and intelligence do. Oh god do people like putting themselves in boxes and making judgements about others. Way too many people have gotten into fights about which house fictional characters from other franchises belong to. Gryffindor, Hufflepuff, Ravenclaw, and Slytherin are shorthand for actual types of people now. Rowling’s world-building in Harry Potter is superb, but what she did with Hogwarts eclipses it all. The world outside Britain is introduced only in the sketchiest of ways (which is definitely for the best). Wizarding Britain is very well-developed, but not central to the proceedings. Note that the Minister for Magic isn’t the most powerful wizard — the headmaster of Hogwarts is. Hogwarts dominates Harry Potter not just because readers can relate to it or because Rowling lovingly renders every detail of it. It’s also the structure of every book save one. No matter what else is going on in a Harry Potter book, you can be certain that it will start late in summer, with Harry getting ready to go back to Hogwarts. There will be some mention of the train ride to school and the welcoming feast — and the attendant Sorting of new students. Time is marked by school breaks and Quidditch games. The climax is almost always at the end of the school year, with final exams getting a name-check or more. Then the leaving feast, the House Cup and the decorations that go with it, and everyone going home. It’s a familiar routine and it anchors the craziness of every near-death adventure Harry and his friends go on. With any series, there’s always the problem of giving fans more of what they loved without just telling the same story over and over again. Using the school schedule as the rhythm of the story, but not the actual plot elements, allows that to happen. That structure exists in a meta sense as well. A lot has been made of how the Harry Potter books get darker and more adult as the series goes on—which, for those of us who were kids and read them as they came out, meant we were literally growing up with them. Similarly, within the books, students at Hogwarts get new responsibilities and control within their studies as they age. Year three comes with getting to pick some classes. Older students can drop subjects or continue to advanced study of them, based on their interests/what profession they’re interested in. It’s all packed with the detail Rowling loves—the ins and outs of the O.W.L. and N.E.W.T. exams, for example—and obviously mirrors what happens in actual schools. But plenty of series with magic schools don’t change their level of reading difficulty or darkness as the characters age. Harry Potter does, reinforcing the idea that young readers are growing up with the characters. Harry Potter lives and dies by Hogwarts. Even more than Harry himself, the School for Witchcraft and Wizardry is Rowling’s greatest creation. If you were wondering how Harry Potter got his name, then J.K. Rowling has finally given an answer. Since 2015, J.K. Rowling has made it an annual tradition to apologise for killing off a Harry Potter character. This year’s selection was not met with the usual mourning.